Snow Guy… Cute or Spooky? 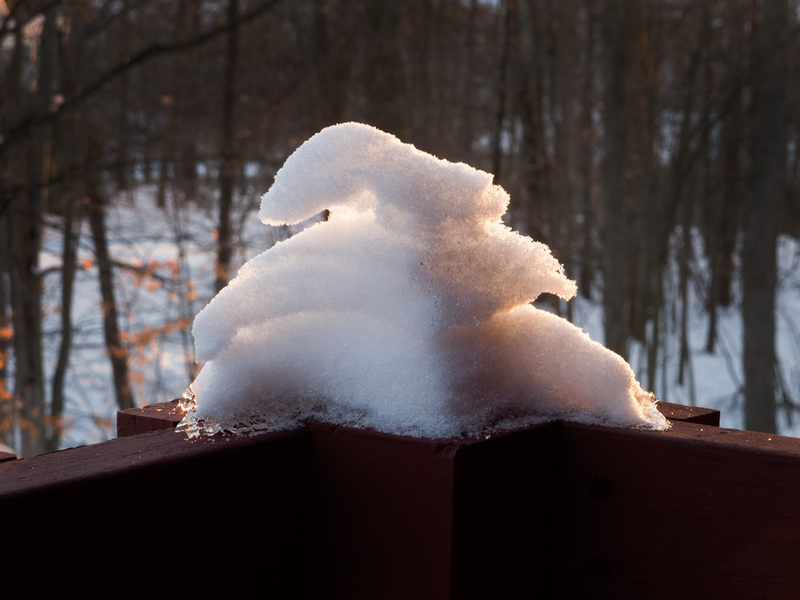 I spotted this little snow guy perched on the railing of my balcony. He was shaped by wind and a brief thaw. At first I thought he was cute. Then I realized he reminded me of the “Sandman” from The Nightmare Before Christmas. Now I’m worried. ← My Lulu.com calendar is back! Spooky if you saw the Doctor Who Christmas special!